1. You’d better do (‘d =had) something quickly. 2. You’d better not add anything to my schedule. Had better: give strong advice, or to say what the speaker or others should do. 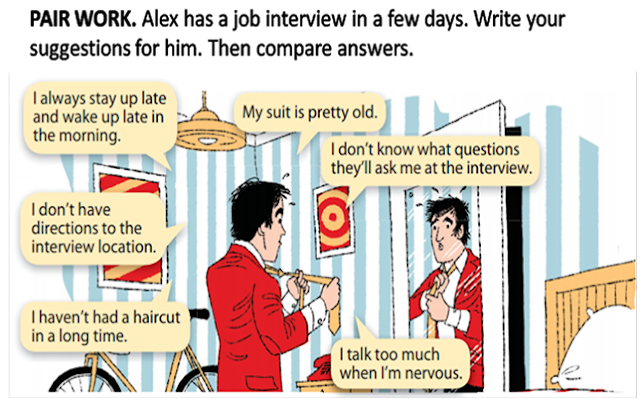 It is generally used to talk about a specific situation, rather than about things in general. It also suggests that something should be done to avoid a bad consequence. 3. I ought to do some volunteer work. 4. You ought to let them do the talking. 5. You might want to take a colleague with you. 1. I’m going to have to do something about it. 2. I’ve got to decide by next week. 3. You don’t have to spend time on this. “Going to” can soften the strong sense of obligation that have to has, especially when the subject is you (e.g., You’re going to have to do something about this problem,). 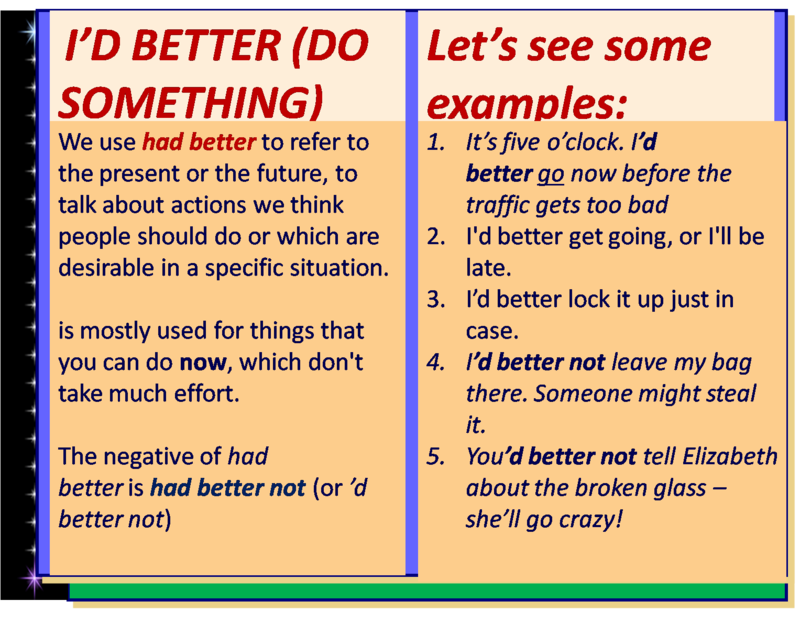 Would rather = "prefer to"
Would is usually contracted to‘d in statements. 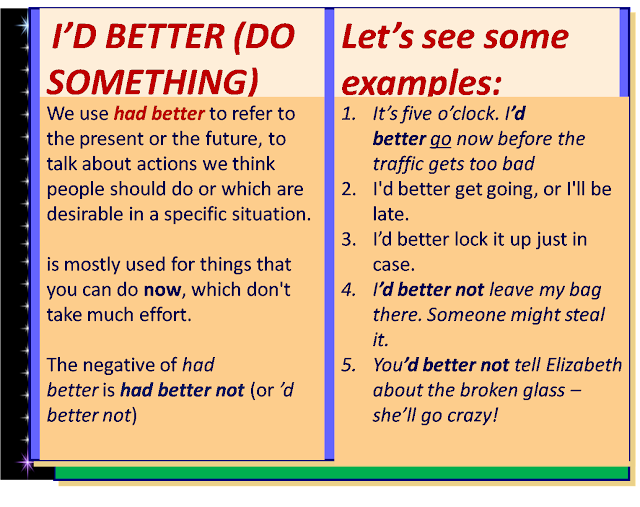 v Over 80 percent of the uses of had better are in affirmative statements. Questions with it are not very common. v Negative statements with ought to (e.g., That ought not to be allowed.) are not very common in ordinary conversation, where they account for less than 1% of the uses of ought to. They are more common in formal language. v Over 80 percent of the uses of ‘d rather have the subject I. Over 90 percent are in affirmative statements. Exercises on " What's advisable, necessary/ and preferabele"
I think personally this video helped me a lot and I could find answers to some questions I had.